Young Heroes of the Caribbean is a work of fiction that has historical figures in make believe circumstances. Living in a dynamic place, like the Caribbean, makes every day an adventure for me, and the stories of valour, hope and heroism of our young people inspires my fiction writing. Our youth have a wonderful capacity for caring, and I tried to capture some of that spirit. I also cannot help but see the threatened beauty of our Caribbean islands, and, to me, the marine environment is like a character in the book. The hero of this book is Ramiro, whose father decided that the racetrack was a better scene for his ten-year-old son, than the beach. Ramiro has to navigate the tension between his parents as he finds his place in the world. At fifteen, Gail has already learned how to fend for herself without the support of a family, but with Ramiro gone, she thought that maybe she could adopt his mother, who is now more concerned about losing her home. Using the "tale within a tale" technique, I bring the mythical strength of seven young heroes from back in time prepare the family for their common destiny, and the hidden challenges that are coming. 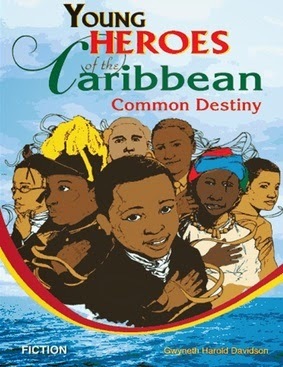 Young Heroes of the Caribbean is intended to offer a contemplative read.